First, finish that drink and get some sleep. You’ll need it. Second, go check out this massive collection of free books and stories. 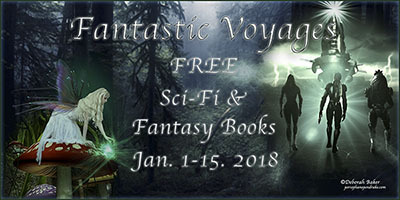 Seriously, it’s over 140 different free books and stories, all in sci-fi or fantasy genres. All are complete stories in and of themselves, no previews or partial books, all available from January 1-15, 2018. Pick out the one(s) you like, and download them. They’re free, completely legal, and cover a huge variety of genres, cross-genres, and hard-to-find subgenres. What’s the catch? For most of these books, you are signing up to that specific author’s mailing list when you download their story. Only that author. If you download one book, you join one list. If you download twenty… you’ll have a lot of reading material, and be subscribed to twenty lists. My Arca superhero short story, Tourists, is one of the stories in this promotion. If you don’t want to bother with the promo or missed it, you can always join my mailing list. The link to do so is at the bottom of every page of this site. Whether you download anything or not, may you all have a smashingly wonderful new year (preferably filled with books)!